There are four cards lying on the table. Each of them has a number on one side and a color on the other. We would like to test the truth of the following statement: If a card shows an even number on one face then it’s opposite face is blue. And the actual task is to flip over the fewest possible cards in order to check whether this rule applies or not. If you nailed it, well, good for you! But even if you didn’t, you have absolutely no need to despair: 9 out of 10 people fail to come up with the right answer. 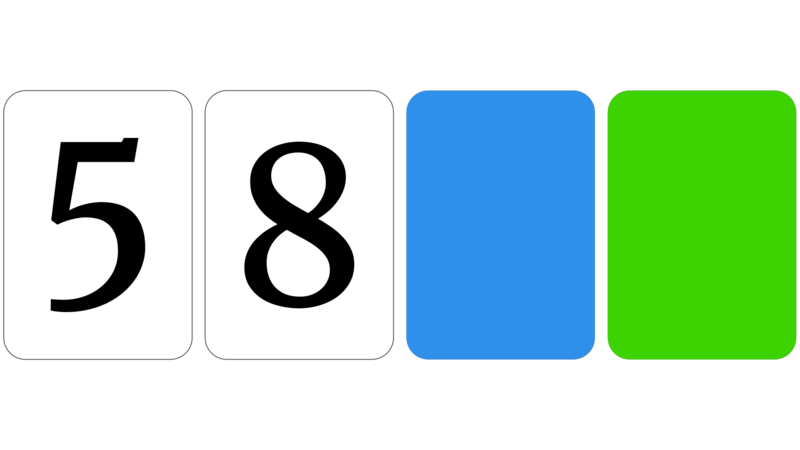 What happens is that most people will correctly pick ‘Card 8’ but will choose to flip over the Blue one instead of the Green. However there’s no need to flip over the Blue since discovering an odd number on its other side wouldn’t violate the rule. Really, the only thing that matters is what’s on the other side of the cards which have even numbers on them. But discovering an even number opposite the Green one? Well, that would surely break the rule. Fast-forward to 1982 when psychologists Richard Griggs and James Cox found evidence suggesting that people find the puzzle hard because of its wording. In an experiment they reframed the task so as to give it a social context, in effect making it less abstract. Specifically, they gave cops the same task put in such a way that it involved a bar scene where they were to single out underage drinkers. This time around 75% of them managed to come up with the correct answer. Besides the social context—or the lack thereof—though, chances are people who get this wrong might actually be justified in putting some of the blame on stress. To get somewhat closer to an answer, let’s take a look at a concept from Cognitive Psychology called the Dual Process. According to Dual Process, two different systems keep competing over our brain whenever there occurs a problem to solve. And depending on the actual circumstances, one of these systems gets activated to carry out the job. Fine. But what exactly are these systems? Well, one of them is the fast and executive System-1, and the other is the deliberative but, in return, more sluggish System-2. But just as System-1 is faster, so too is it more prone to error when it comes to dealing with tasks that are a bit more complex. So while System-1 might be great to handle all the routine stuff, System-2 seems much better poised to do the thinking for us. Throughout our evolutionary history, stress has been very strongly linked to our immediate survival. So stress might have acted as a force to pressure us to act quickly, ultimately prodding our brain to activate System-1 in the process of doing so. And even though puzzles like the Wason Cards are only minor “threats” to us, if any, for hundreds of thousands of years our ancestors had to put up with stress of slightly different sorts; like running from a lion that is in pursuit of tearing our heads off. So probably this overreliance on System-1 over such a long period of time might have costed us a slight reduction in our ability of solving problems that are more abstract. (Of course not in absolute terms when compared to other species, but rather as to how we could’ve turned out to be had the circumstances been different.) But just as human life started to get gradually easier, System-2 was allowed more and more air to breathe. All this is known to be a fairly recent development when put onto an evolutionary timescale and its occurrence was due to pivotal events such as the huge shift that we made some 11,000 years ago when we switched from hunting-gathering to agriculture. And over time, this might have promoted deliberative and longer-term decisionmaking, in effect, paving the way for the eventual discovery of the Scientific Method. Still and all, System-1 got so profoundly entrenched in the human condition that it had kept a fertile ground for the seeds of superstition, ignorance, and irrational beliefs. Finally, let’s wrap up by illustrating all this with going back to our cards a little bit. 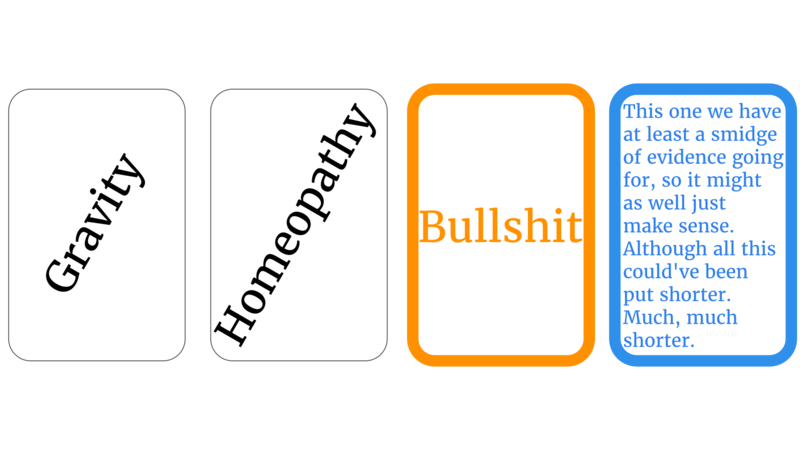 Actually, let’s have the same puzzle in essence but this time around with a slightly modified deck of cards. A “metaized” version of the Wason puzzle. Strictly for your precious System-2. So, which ones to flip over now? This piece was inspired as well as informed by a highly stimulating article by Brian Gallagher.